An exclusive Award for Australian Football League. 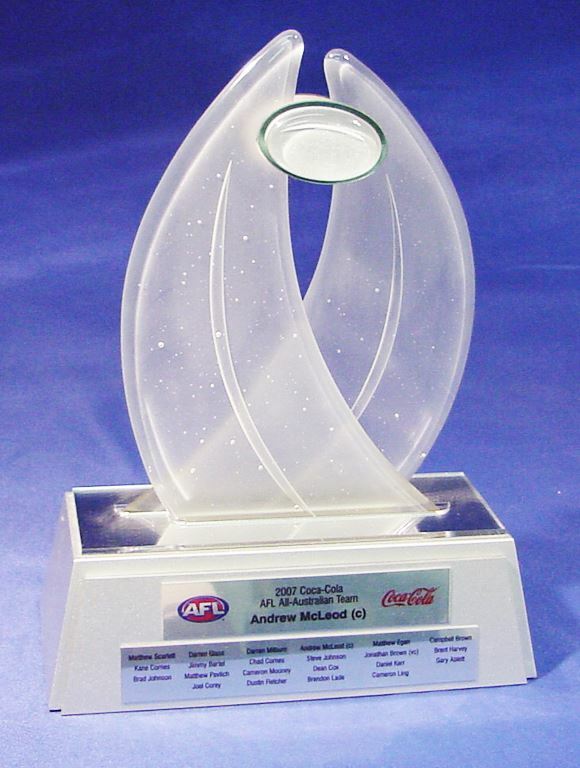 The original Australian Team CHOICE award made from kiln formed fusion glass. To request a quote press the ENQUIRE NOW button or press the ADD TO MY CHOICE button to add the design to a your own CHOICE page where you can enquire about multiple products in one contact with us.